(Actually, G.R.Woodward combines the song of the Christmas angels, Gloria in excelsis Deo, with words from the Trisagion in the Eucharistic prayer, Hosanna in excelsis,Hosanna in the Highest.). No bells in the biblical text, but at this point in Matins the church-bells are rung joyously. G.R.Woodward was right, heavenly bells must have rung on that first Christmas night! Now, it is an interesting question why, almost universally, Christians have associated the hymn of the heavenly host with bells. Can bells really enhance the sublime hymn of the angels? Well, I think they can and do. Let me explain. Indeed, bells have remarkable properties. They can give expression to profound spiritual realities. Their sound spreads out across city, paddock and bush filling the heart with joy. The atmosphere in fact influences the sound of bells as the wind changes direction and fluctuates in intensity. Anyone who has heard the carillon on Aspen Island in Canberra from the shores of Lake Burley Griffin will be aware of subtle effects of the elements on the transmission of the sound across the water. If your church has a proper “Ring O’ Bells” (the name of a pub I know well in Cornwall) you are indeed blessed. Sadly, mine doesn’t, but the Greek Cathedral of the Annunciation in Sydney has a ring of five bells (cast at the Piraeus foundry of John Bouras) and their sound always lifts my heart as I hear them, often while crossing the park next door. What a wondrous difference, what a profound supra-linguistic contrast of meaning, does the slow, slow funereal descent down the scale of the bells on Good Friday have compared with the over-flowing cornucopia of joyous sound of the clashing doxological bells of Easter Sunday. But if bells induce a state of exhilaration and joyousness, they also have the capacity to confront. And, of course, it is this property of the bells that renders them so effective in fulfilling their primary function of calling the faithful away from daily preoccupations to prayer. Perhaps, also, it is this capacity to pull one up and turn the mind to higher things that partially accounts for why there is almost invariably strong opposition to the installation of church-bells by a vociferous minority of local residents. The challenge of the bells can be precisely what they fear and on which they wish to turn their backs. It is highly desirable that liturgical bellringing be performed manually as an offering to God. Today, sadly, church-bells are sometimes rung automatically by a computerised system, as is the case with Sydney’s Greek Cathedral. One good thing about computerised systems, however, is that they catalogue the range of rhythms proper to different services and different days and seasons of the Church year. The Cathedral’s system provides for no fewer than 57 traditional rhythms. How far back church-bells go is not really known, but in the Celtic world modest bells possessed by early saints have always been regarded as amongst the most sacred of relics. The fifth-century bronze-coated bell of St Patrick – “the Bell of the Will” – together with its ornate shrine (c.1100) is reckoned as one of the greatest treasures of Ireland. From the early Middle Ages on bells became revered possessions of churches and monasteries across Christendom. Church-bells have often been regarded as living beings, and so in the Orthodox Order for the Consecration of Bells, having censed the bells inside as well as outside, the celebrant gives an individual name to each bell. Next, the top, outside and inside of the bells are sprinkled with Holy Water. Finally, having again been censed, the bells are anointed with Holy Chrism. It is interesting that the rite lays considerable stress not only on the power of the bells to move people to prayer and repel evil forces but also, by their sound, to calm storms. Typologically, church-bells are associated with the two silver trumpets God commanded Moses to make to assemble the people, sound alarms and signal the time to break camp. The trumpets were also to be sounded to mark festivals and New Moons, to accompany sacrifices and in battle (remember the walls of Jericho). The relevant passage in the Old Testament book of Numbers (10:1-10) is read at the end of the order of Consecration. It is also interesting that included in the half dozen psalms recited during the service is Psalm 28 (29 MT) which speaks throughout of the workings of “the voice of the Lord”. 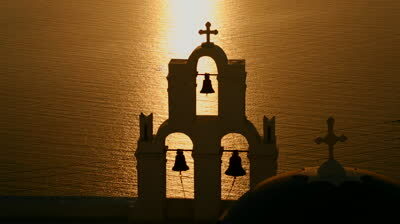 Clearly, we are to draw the inference that the voice of God can be heard through the ringing of the bells. An odd aspect of our topic is the sewing of miniature bells on to vestments, particularly the sakkos worn by bishops. The usual explanation is that this was done to ward off demons – are bishops particularly prone to demonic attack? – but perhaps their function is simply to warn wary clergy of the whereabouts of the bishop! Under the Ottoman Empire the ringing of church-bells was forbidden and so the bells were replaced by the semandron (= a wooden or iron board struck rhythmically with a hammer or mallet). This had the consequence of a widespread loss of knowledge of the art of bellringing. The same problem occurred in Russia in Soviet times. In the 1930s, under Stalin, thousands of bells were melted down and the intricate art of bellringing was very nearly extinguished, since details of the practice were seldom committed to writing. Today, there has been an explosion of interest in recovering the art of bellringing in Russia. In 2002 two huge bells, to replace those removed in 1930, were “baptised” by the Patriarch of Moscow at Sergiev Posad. Interestingly, the bells have Vladimir Putin’s name moulded on them. The size of these bells, however, pales into insignificance compared with the Tsar Bell in the Kremlin, which at over 200 tons is the heaviest bell in the world. During a fire in 1737, while it was still in its casting pit, a portion of the bell broke off when the still red-hot bell was doused in cold water. ““Oranges and lemons”, say the bells of St Clement’s, / “You owe me five farthings”, say the bells of St Martin’s”. However, it was not in Trafalgar Square that we were destined to hear the bells but in Barrack Square, on the foreshore of the Swan in Perth, WA. 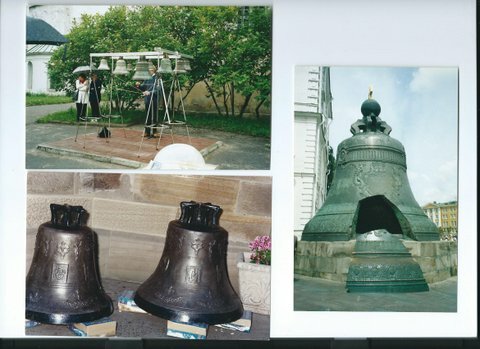 The story of what are now known as the “Swan Bells” started with a proposal that a major ring of bells be acquired as a Bicentennial project. It so happened that just at this time St Martin’s decided they needed to have their peal of twelve bells, which dated from 1725-27, melted down and recast. All Hell broke loose as the bells were the only surviving 12-bell ring of the Georgian period. 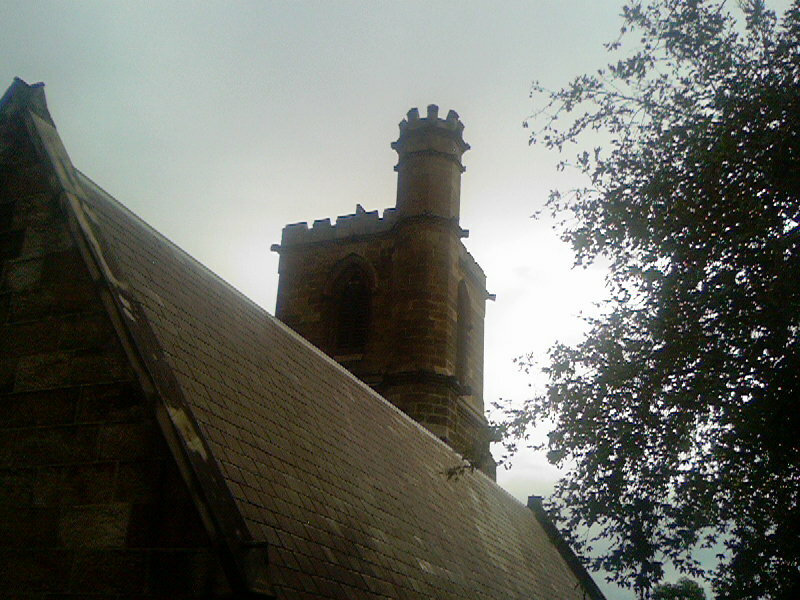 In the event, it was agreed that the bells be saved and, having been retuned, be given to Perth as a Bicentennial gift, while a new ring of 13 bells would be cast for St Martin’s from Australian metal. Subsequently, Western Australia decided to redevelop Barrack Square and build a belltower for the St Martin’s bells as the State’s principal Millennium project. Six new bells have been added to the “Georgian twelve”. 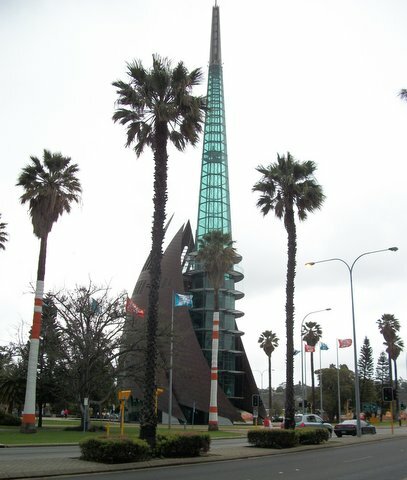 The belltower is an impressive structure flanked by architectural copper sails and capped with a translucent spire, rising to 82.2m, which is illuminated at night. The tower is designed so that visitors can actually see the bells ringing in the belfry, while a television screen enables them simultaneously to watch the ringers in the bellringing chamber below. The bells are set up for change ringing. This is a form of ringing which developed in England in the sixteenth and seventeenth centuries. A number of bells are rung one after another, the sequence is then changed as the bells are rung again; and so on. The different patterns of sequences are called “methods” and each has its proper name, the name also indicating the number of bells rung; for example, “Plain Bob Maximus” is a 12 bell method. The bells are rung full circle from a bottom up resting position, each bell having its own rope pulled by a single bellringer. To see the great Swan Bells turning through 360 degrees is an awe-inspiring sight. Holy Trinity Church in Hobart has the oldest ring of bells in the Southern Hemisphere still in situ in their tower, where they have been since 1847. Holy Trinity is now a parish church of the Greek Orthodox Archdiocese of Australia, cherished and lovingly maintained by its priest and people. The bells are hung for change ringing and rung by a band of bellringers who also ring for the Anglican Cathedral. Currently, they are rung for the Orthodox Liturgy every third Sunday, as well as on special occasions. can be rung by a single ringer. With certain exceptions, the bells are rung simultaneously to a melodious rhythm rather than in sequence. Two very different methods of bellringing; is one clearly superior to the other? Traditional Orthodox bellringing is organic and seemingly spontaneous. As the bells are not normally tuned to a specific note and are rung simultaneously, sound of an incredible richness and vibrancy is generated. The different rhythms are expressive of the “feel” of the different liturgical moments and festivals and seasons of the Church. Orthodox bellringing addresses the heart more than the head. No, the one tradition is not superior to the other; they complement one another. 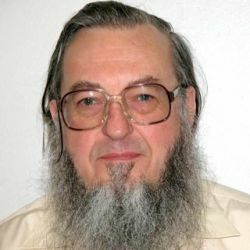 *A selection of 33 of Guy Freeland’s Vema articles has been published by St Andrew’s Orthodox Press under the title, Windows to Orthodoxy and can be purchased from the Archdiocesan Bookcentre. Kindle and e-book versions are also available. 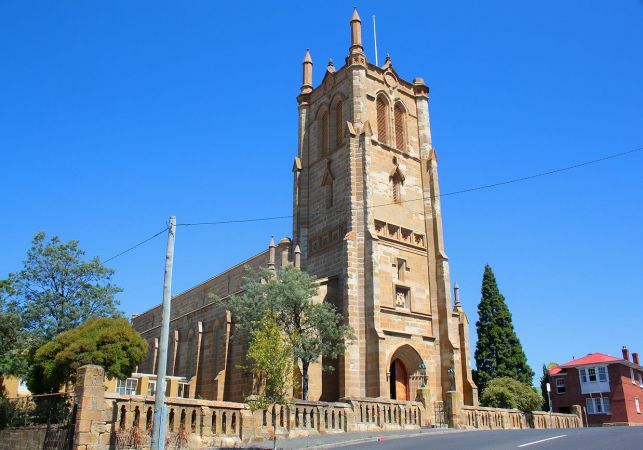 The author is grateful to Fr John Grillis and Fr Timothy Evangelinidis for supplying information on the bells of the Cathedral of the Annunciation, Sydney and Holy Trinity, Hobart respectively.